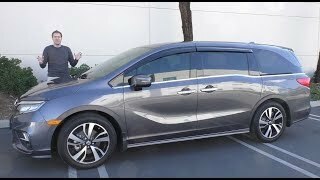 2018 Honda Odyssey Elite in Metallic Steel Gray, Gray Interior. 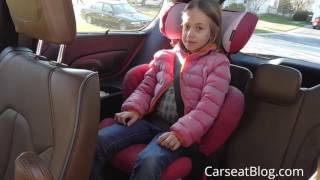 Demonstration of the 2nd row magic slide seats, 4 Convertible carseats installed, two rear facing convertible car seats. Great example of extended rear facing. Any questions, or if you'd like a demo of any other features, pop them in the comments and I'd be glad to help! Excellent review. Just what I needed to see. The elite with the 10speed drives ike a dream. Sometimes I forget I'm in a minivan. Do you consider any SVUs? I’m having to get rid of my Sienna because of this issue. Twins and two infant seats in the second row in a sienna just doesn’t work. Other kids can’t get to the third row without contortionism. It boggles my mind that a car manufacturer would overlook simple things like this. Awesome video. Having the Elite do you use the Cabin Talk? What was the price you paid? How bout thether the rear facing in the 2nd row? Have you used the second row for your 2 rear facing and a a forward facing in the middle at all? Would there even be enough room to do that? Thanks! Does the CabinWatch works fine for rear facing 2nd row seats? Mohammad Our infant in a traditional bucket infant seat is definitely viewable in Cabin Watch as she is tilted on more of a recline. So her whole body as well as face can be seen. You can also pinch to zoom in and out on any part of the screen to zoom in on any kid. Our toddler in a rear facing convertible carseat doesn't have as viewable of a face as she is on less of a recline in her seat, but you can see her whole body and top of head. That being said, I no longer use the headrest mirrors for our rear facers. The cabinwatch totally suffices for us and I've since removed both rear facing mirrors! And Cabin Watch having night vision is super awesome as well! Hope this helps! Thank you for sharing. I have them same two car seats in the second row of an Explorer so this was awesome to see in the Odyssey Elite! Christy Quinn Thanks for stopping by! Glad I could help! 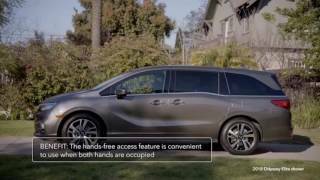 We are about to purchase one tomorrow but do you ever have any AC problems with the rear facing car seat riders getting hot? My wife has a concern with our kids getting hot because there is no overhead AC vent. Brian LeBlanc yes, I do still feel the same! Even through this summer we've done fine. I haven't felt a need to purchase any additional attachments. And I have a vocal 2 yo rear facing in the second row that'd let me know. Ha! I see you stated in another reply that you have no problems so I’m guessing you still feel the same way. Sorry about that, I didn’t see your other reply. Steve Goff solid point! 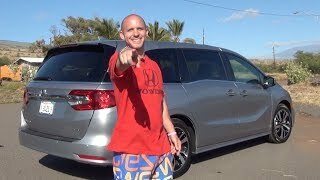 You can't go wrong with a Honda, that's for sure! We currently have a Dodge Durango and are looking at the Odyssey. I love the magic slide second row! My one concern is if you have to move the front driver or passenger seats forward to accommodate the rear facing convertible carseats in the second row? Clara Pope slightly yes, this depends on which carseat you have. We've had a Britax, Graco and Chicco rearfacing and they each take up a different amount of space. 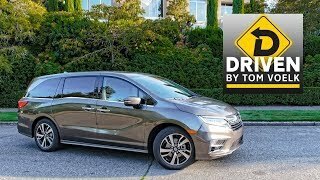 We brought our carseats along and installed for our test-drive in both the Odyssey, Pacifica and Highlander before purchasing. 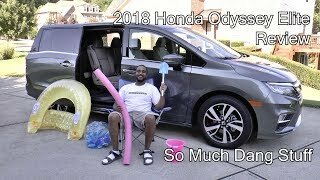 The Odyssey was the most roomy. We can't have them alllllllll the way back, so yes we do have to move the front seats forward. But not to a point of discomfort for my husband or I. 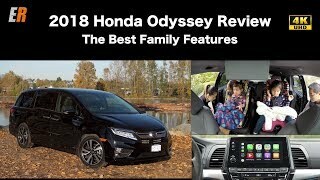 He had to move his seats forward more in his Honda Pilot to accommodate the rearfacing carseat than he does in the Odyssey. This is why the pacific does not work. I have twins that use rear facing baby seats. Yeah, but - to make this Honda work with the magic seats (which are great) you must have the center removed. For people who actually need 8 seats available somewhat frequently, the Pacifica does work. 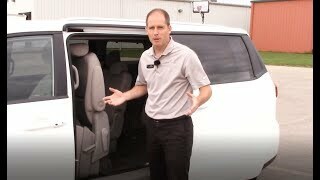 Because I believe it’s the only van on the market that will accommodate a rear facing seat in the middle second row seat and not interfere with the movement of either one of the seats beside it for 3rd row access. 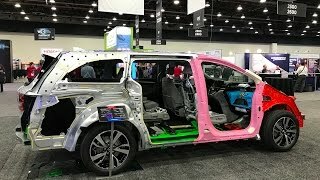 So with the Pacifica you put one baby in center, one on driver side and the passenger second row seat available and unimpeded for third row access. Mrs.Royalty&family main differences that we utilize are cooking front seats. Wireless phone charger. 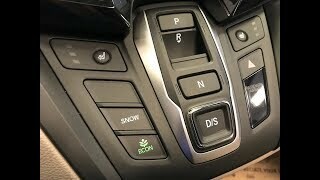 Heated steering wheel. Cabin talk through speakers (only works on headphones in touring which they don't advertise). Cooler looking rooms. Other than that we don't notice other features that make up the difference. We actually owned a touring for a week but it had multiple issues so or dealer took it back and hooked us up with an elite at an awesome price. How would you reach the third row with the 8th seat in? I will need to fit a kid in each seat and so far haven't seen anything about how to get to the third row with the 8th seat in. Jessa Vaughn this is a really great question though, I'll try to make a video of this in the next few weeks! If I do I'll come back and comment for you. Jessa Vaughn when we have all seats in and can't utilize the magic slide second row to access the third, there are a few options. If you're just wanting to reach the third row to buckle in some passengers, I remove the headrests from the second row. It creates a ton more room between roof and too of second row seat, making it really easy to lean over the second seat to buckle in any third row passengers. If you are wanting to physically have someone climb back into the third row while all second row seats are occupied, you could slide the second row seat forward and squeeze between. You could also access through the tailgate which is what I would probably do. Keep the 60 bench up, fold the 40 bench down into cargo fold, and climb through the back. Phil no we don't have any issues with ours. I've definitely seen some people with the issue on forums though. Daniel, go test drive one. Its pretty nice. Not like older vans. 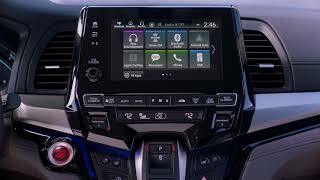 Plus with the Sensing technology, that blew me away. Daniel Tojcic the Atlas is awesome for a dad mobile! We were between that, the Ascent and the Pilot for my husband. We ended up with the Pilot. Any of them are a solid choice though. Thank you for this!! I'm in ND, how did this do during the winter for you?? 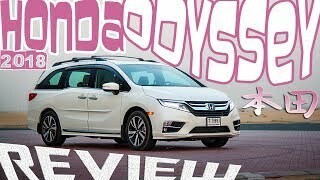 Christ IsKing I went from AWD to the 18 Oddy and I feel like it handles really well. It didn't slip around much and the traction control had good turnover when needed. Thank you!! I have been going crazy looking to see of carseats would fit and how to get to the back. This was perfect! It really has a decent amount of space, and very helpful sliding seats. We also have the elite trim (although I was skeptical at first because of the price)...my wife talked me into it. 😬. It’s worth every penny just for the kids (and adults) to be comfy. Nice review by the way. Thanks for stopping by and commenting! It is definitely worth every penny. Smart wife btw for talking you into it! I had a question how well do you think it would fit 4 rearfacing seats 1 forward facing and a booster? I have a 1.5,3.5,3.5 And 5.5 year old and then watch a 2.75 And 7.5 year old. I do extended rearfacing as well my oldest rearfaced til 4. My twins are much smaller and will stay rearfacing longer. The 2 year old I watch rides forward facing at home but I will not allow that in my vehicle since she is the same size as my twins she will fit rearfacing just fine. 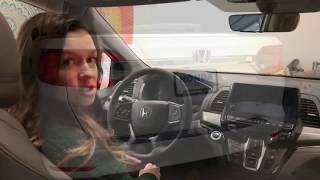 Amy Lyn Eilers so we jumped the gun and actually bought an older model, we got the 2010 Honda Odyssey 8-seater. Most functions are still the same minus the magic sliding seats and some tech. It works great and we can fit 3 comfortably rearfacing in the 3rd row and 1 rear facing behind the driver and forward behind the passenger and we have the middle for the booster. We leave the set installed but it folds down out of the way and we use the trunk to buckle up the kids in the 3rd row. I've had all the seats in it but not all the kids yet so we will see on Friday what it's like. The only thing I worry about is belt fit on the one in the booster since the seat belt comes from the ceiling. TyffanyandBaby I think that would be pretty tight no matter what vehicle in this class, unless you are looking into the next size up in passenger vans, 10 seaters and up. But that's not to say it COULDN'T be done! 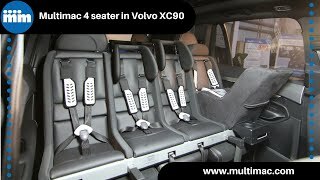 You wouldn't be able to utilize the sliding second row as you'd be maxed out on 6 carseats in the rear and would need to keep your 8th seat (second row center) installed. Maneuverability is just where it would get tricky. You definitely could do three rear facings in the second row with no issue and a fourth RF in the third row. But accessibility to the third row is when things would get tricky. I'd think you'd need to utilize the rear entrance of the vehicle for easiest access, or at least that is what I'd do. Some family friends have a similar situation and they swear by the Nissan NV Passenger van, they've owned multiple. Best of luck on your search!! How did it handle in the snow this past winter? 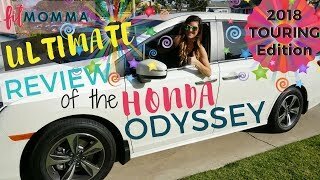 Katie M I went from AWD to the 18 Oddy and I feel like it handles really well. It didn't slip around much and the traction control had good turnover when needed. Hangyu Tian Congrats on the purchase! You'll love her! picked up my touring yesterday. Love it. thank you for the information! Hangyu Tian yes, my husband is a great negotiator when it comes to purchasing vehicles luckily! wow! so if I am right. The sticker price is something around $47,500. And you have it for about $40,000 + tax and fees? That's a great deal! Thanks for letting me know. Hangyu Tian We got an Elite for $43,000 out the door with body mouldings and splash guards installedast fall. 19's are going to start rolling out I believe next month so I feel like you should be able to get a better price on an 18 touring. Do the second row seats have the capability to slide back at all? We have a Sienna and there is so much room in the second row for backpacks and feet etc- ha ha. It looks so tight even if you had a forward facing seats there. Plannergirl22 the second row slides forward and back. In the video one second row captains chair I believe is moved forward to make space for a taller third row kid I had riding along that day (who likes to kick the back of the second row seat to drive me nuts ;-) ). I think they don't have the second row go back any further to give comfortable room for third row passengers. I've ridden in the third row a few times and I do have to say it's pretty decent on space even as an adult passenger. The second row pushed back fully, probably doesn't have as MUCH room as a Sienna. I mean Siennas are built for that second row comfort, they have reclining foot rests even! I feel like the perks of a Honda better benefit those with carseat Passengers. And a Sienna for sure would benefit your second row adult and teen passengers. We are looking at this van, right now! Thanks so much for this review, I have been wondering how car seats fit in it. I have one rear facing car seat the chicco next fit, do the seats hit the back of the front seats. We currently have a chevy traverse and that is what we hate about it. The rear facing seat hits the front seat when my tall husband is in the car. So do the front passengers have enough room when rear facing seats are installed? Thanks! Whitney Hoffer if your rear facer is in the second row, there is room most likely. There is always a gap when my husband and I both are in the front seats. I'm not sure if his setting is programmed to all the way back but I know it's far enough back that my feet cannot touch the pedals when I sit with his setting (the elite has driver 1 and 2 memory buttons, best feature ever!). You could always put your rear facer in the second row passenger side in case it does bump! This was very helpful. About to add a 3rd. My eldest will be 4 by then and I have no desire to turn her until she maxes out her diono seat. I never even THOUGHT about how difficult it would be for ME to get into the back with two RF carseats in the middle. THat sliding seat...whoa. Were you able to rear face in the back too? I'll have two diono radians RFing and i'll have a britax bucket seat RFing for awhile, then eventually another convertible. Would you put the bucket in the back or would a RF diono (with an angle adjuster ) work in the back by chance? Nikki Rudolph there are latch systems in the third row so I don't see why you couldn't rear face there as well. It would still be as bit tricky to buckle in a rear facer in the third row but I would think creating that isle by sliding over your second row bucket would still make it an easier task than other set ups. Nikki Rudolph yeah, two rear facing in the second row will make for an extra challenge! Sliding second row to the rescue! 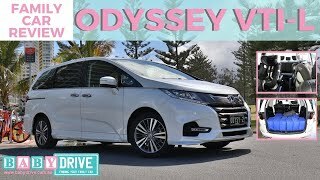 How can you afford an Odyssey Elite? That is a $50,000 car. 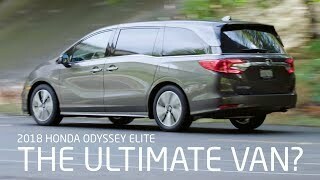 I can only afford an Odyssey EX-L for $35,000. Thanks! I love your video so much. Informative, to the point, and good video quality. 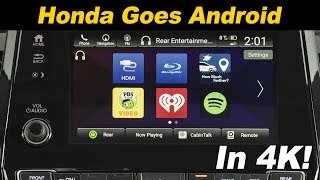 And I love Honda's MagicSlide feature too. We budgeted accordingly for the added features. We also negotiated hard for a better out the door price. Good news with a 2018, you get the sliding second row no matter what model is in your budget.